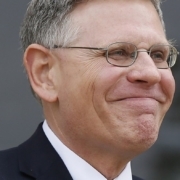 Lawmakers on the final day of the 115thCongress confirmed Kelvin Droegemeier to lead the Office of Science and Technology Policy, which has operated without a chief for nearly two years. As OSTP director, Droegemeier would be the president’s top advisor on artificial intelligence, quantum computing and other emerging technology issues. A meteorologist by training, he told lawmakers during his confirmation hearing he plans to focus on expanding partnerships with industry and academia, investing in “commercially risky but transformative” research and reskilling the workforce for the 21st century. Droegemeier also voiced his intentions to expand international research collaboration while ensuring the U.S. remains on the forefront of technological development. As global competitors like China make moves to dominate in AI and other emerging markets, he also noted it will be particularly important to find common ground on technology ethics.